Fully 85% of American adults own a cell phone and now use the devices to do much more than make phone calls. Cell phones have become a portal for an ever-growing list of activities. 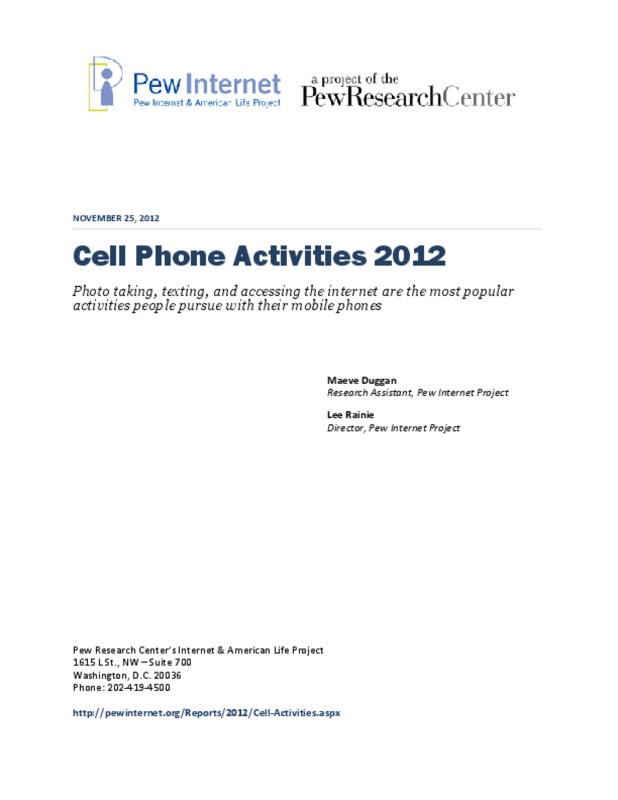 In nationally representative phone surveys in the spring and summer, the Pew Research Center's Internet & American Life Project obtained readings on some of the most popular activities. Copyright 2012 Pew Internet &, American Life Project.